DanTheStampMan.Com,Inc. CUBA ON PAGES IN LARGE BINDER-1855-1961! CUBA ON PAGES IN LARGE BINDER-1855-1961! A large group of pages for Cuba in a large binder running from 1855 to 1961. Includes separate air post section. 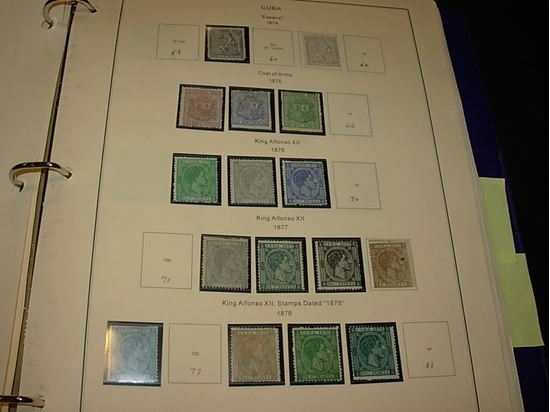 Collection is spotty but some stamps throughout ready for somebody to expand this collection. Photos show samples.